Alright, I went through a bit of hell getting four of the five grades for the lv.80+ selection. I pick one from each grade I found 'best' to my standards. Soooo, here they are, General is first, Heroic is last, there is a Legendary, but after multiple hours, I gave up. Here's a catch, each grade has a limited chance for certain runes. General sticks with "Brown Runes"
Advance goes for both "Brown and Green Runes"
Rare goes for "Brown, Green, Blue, and rarely Pink Runes"
Heroic has chance for better grade so "Green, Blue, Pink, and utmost rare Yellow Runes"
Legendary: I'm not sure of because I have yet to find, or gamble one. General: It's got a +5 Dodging, if I found a +10 or +11 that would be worth wearing, no matter the class. Rare: And one of the best found in it's class, with Rare, if you have enough Luck, you might find one with a Luck Attribute. (Minute Chance) Preferable for Scout or Tanker. Heroic: Now I couldn't decide which one to keep and which to delete since you have limited room once you get past lv.40. 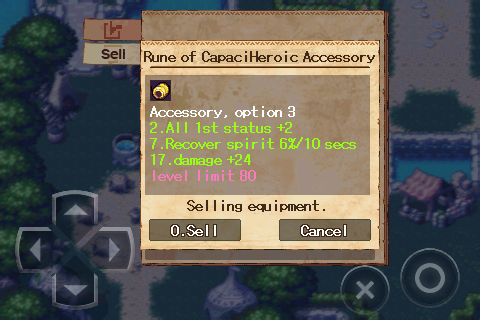 Either way, as I look a second time, the Rune of Capacity Heroic Accessory is better. As for the Legendary I haven't found any due to my Character level, and Luck Attribute. I'll make a post for lv.20-60 Accessories, their options soon enough. That be your e-mail URL which isn't the best to post because of spam, if you wish to be followed create a facebook page and give out it's URL or Twitter. Either work just fine.